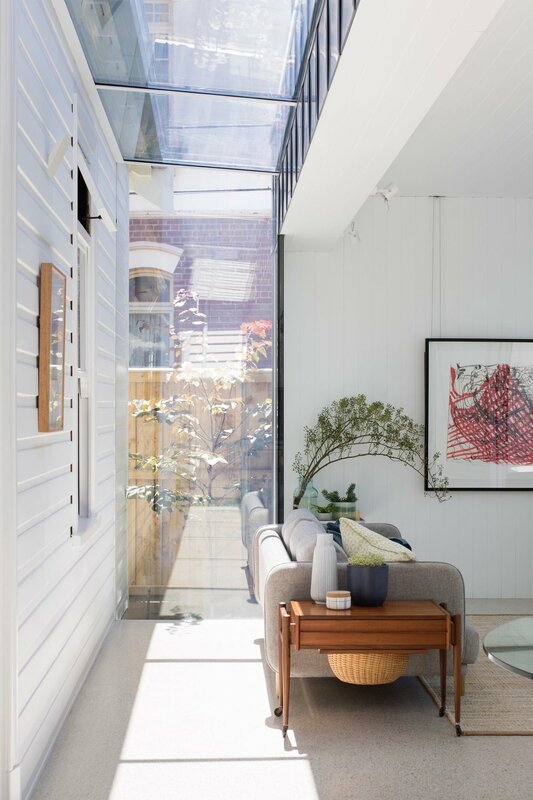 It was clear the client had a strong connection with the orignal house, although in need of repair, the quality and character of the original house brought them a lot of meaning and joy. 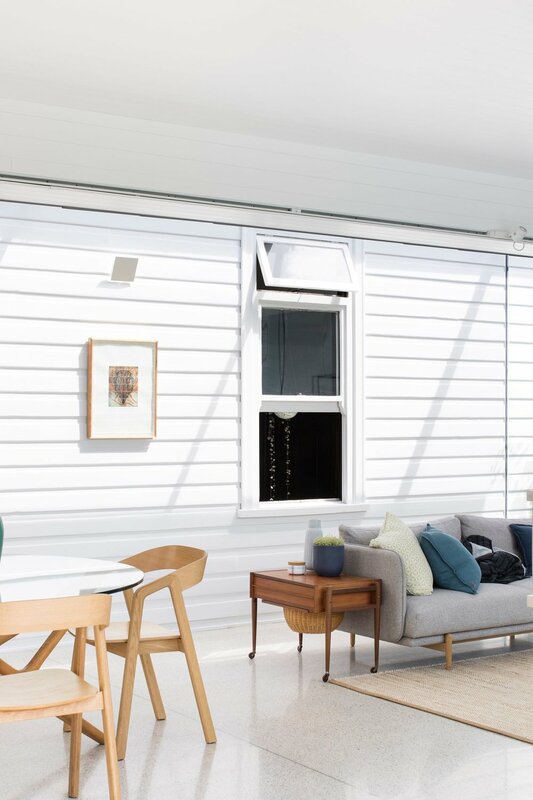 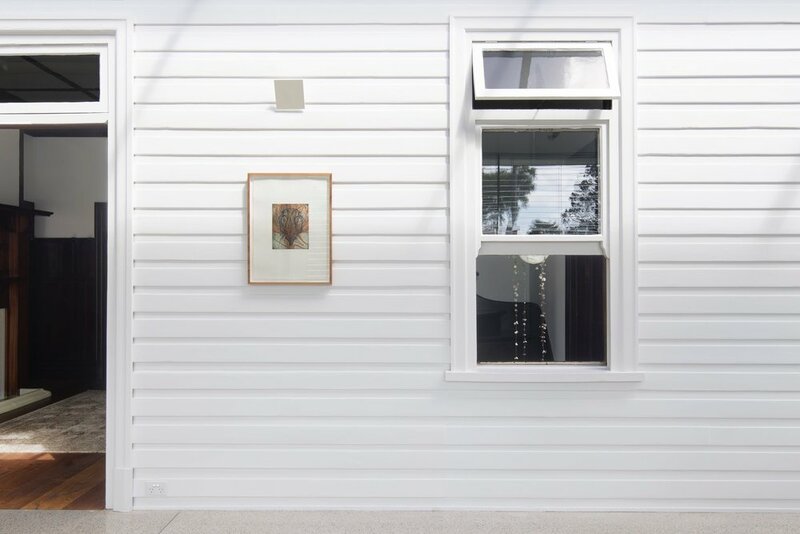 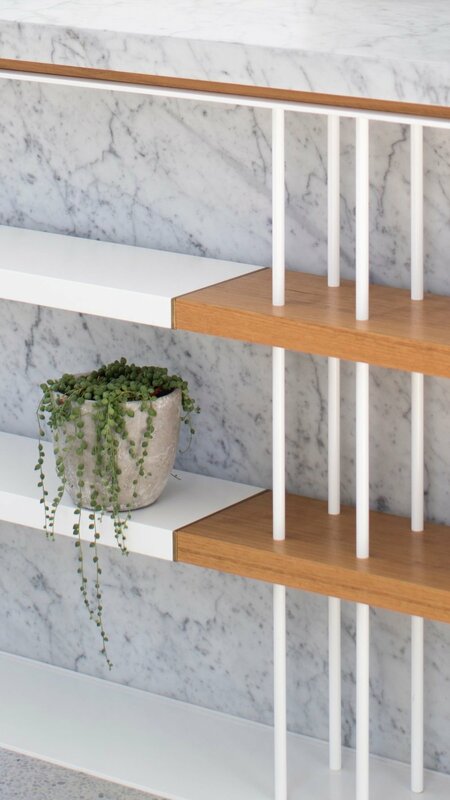 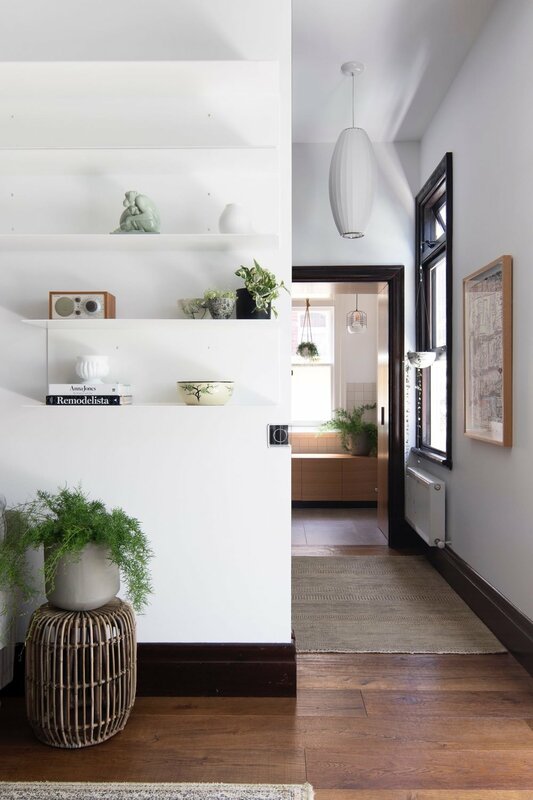 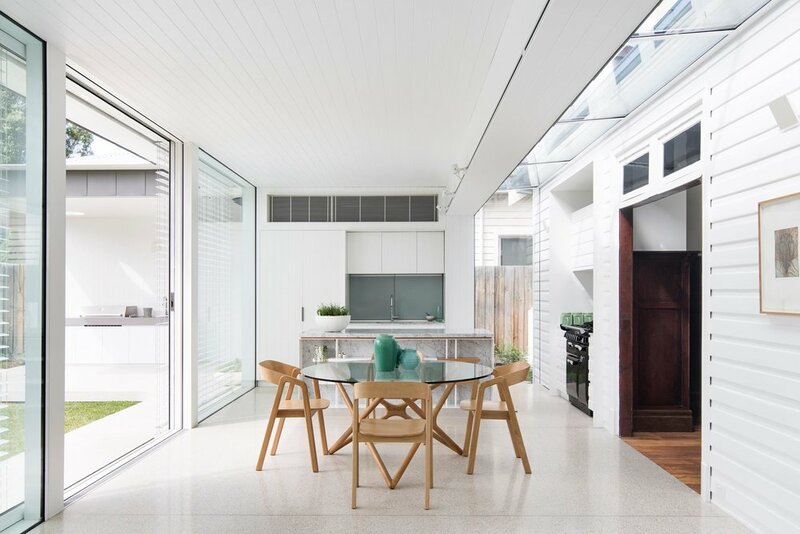 Within the existing we carefully restored the house, bringing back the life of the orignal home, through this process, we were able to introduce small changes which were designed to be gentle, neutral and recessive. 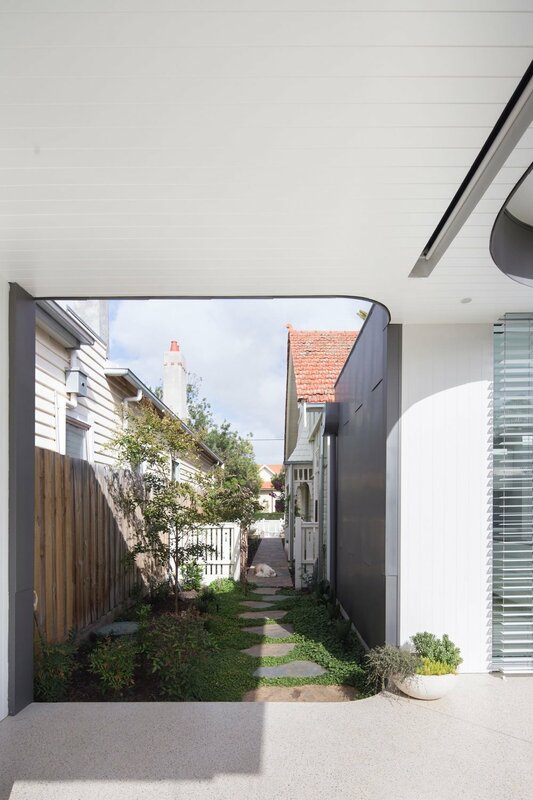 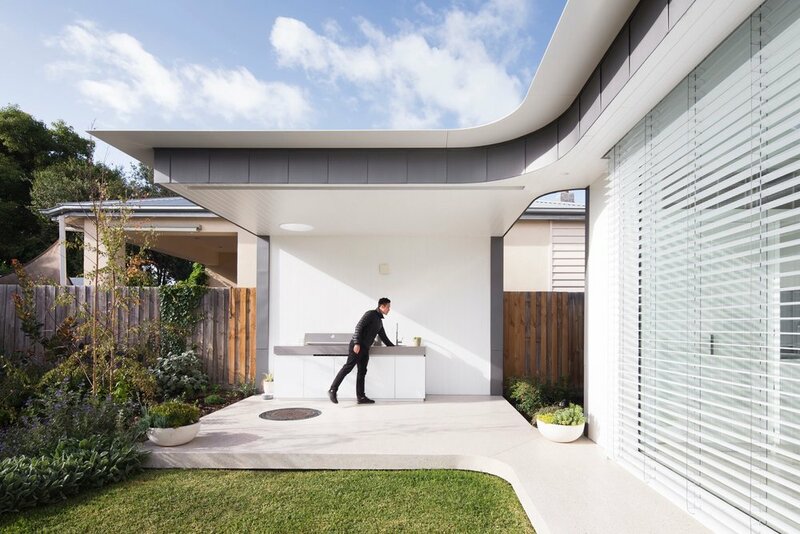 An outdoor BBQ area is position along the southern boundary, a cantilever canopy over the bbq area is connected back to the new addition to form an entry 'gateway' and visually connecting the street back into the rear garden.